Jennifer Barros has 10 years of experience in the managed healthcare industry with a large state plan. She began working as an inside sales professional in the small business market, transitioning into an Account Executive role handling specialized accounts, EGWP, and Part D. In 2013, Jennifer’s career shifted into a management role overseeing Medicare and Individual Sales; and most recently serving as Director of Medicare Sales and Service . She was responsible for overseeing a team of 60 associates dedicated to the Medicare line of business generating new business growth and retention. 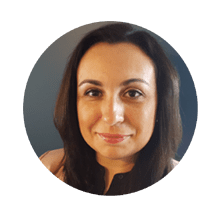 Jennifer has extensive experience in sales, call center operations, customer experience, retention, marketing, agent oversight, compliance, enrollment, training, community development, and health plan retail. She rebuilt a customer friendly model that grew enrollment while retaining the existing Medicare book of business. Jennifer has experience tracking Medicare STAR rating performance and increasing the Star ratings for TTY and Translation Services for Medicare Part C and D. She also had the unique experience of being part of a committee responsible for launching health plan retail locations throughout the state. These locations allowed consumers and members to meet face to face with Sales and Service. Jennifer also collaborated with the teams in developing a customer loyalty program and community activities.